Born in Blairsville, Pennsylvania on May 1, 1893. B.A. from George Washington university in 1916. Commissioned in the Cavalry in 1917. Professor of Military Science and Tactics at the University of Georgia 1921-1922. Instructor with the Massachusetts National Guard 1922-1923. Duty in the Philippine Islands 1933-1935. Graduated from Command and General Staff School in 1936. Instructor with the Connecticut National Guard 1936-1940. Assistant to the Assistant Chief of Staff for Operations at Third Army in 1941. 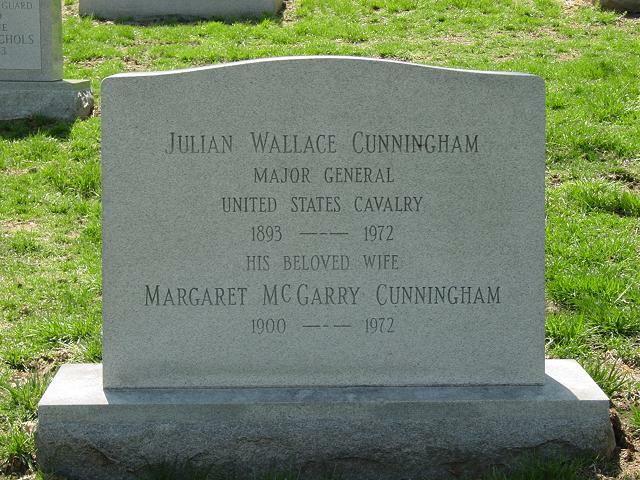 Commanding Officer of 112th Cavalry November 1941-October 1943. Brigadier General in September 1943. Commander of a task Force in the Miscellaneous Group, U.S. Army Forces Far East October 1943-June 1944. Commanding General of the 112th Cavalry Combat Team June 1944-December 1945. Reverted to Colonel in July 1946. Retired as Major General in May 1952. Decorations included the Distinguished Service Medal, Legion of Merit, Bronze Star and Purple Heart. Died on August 22, 1972.